BASC has a new friend! Meet Flat Finley. He enjoys watching BASC tournaments. 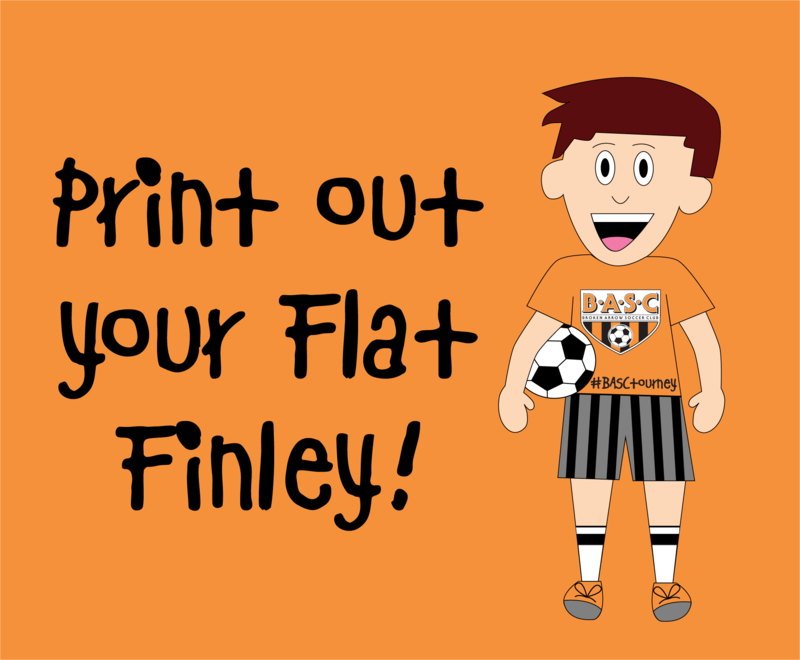 We want our players and fans to take Flat Finley on all their soccer adventures! You can click here to print our version of Flat Finley, or you can click here to print out a version to color yourself. Cut him out and take pictures with him at soccer games, tournaments, and around other places in Broken Arrow. Then upload your pictures to your favorite social media site with the hash tag: #BASCtourney for everyone to see. Can't wait to see all the experiences Flat Finely will have leading up to the Fall Rec Tournament! Need ideas of where to take him? You can take him anywhere, but listed below are some ideas for you!